She’s already won the Nobel Peace Prize - but hero education campaigner Malala Yousafzai has clearly not been neglecting her schoolwork. Because the 18-year-old’s proud dad has revealed she scored six A* and four more A grades in her GCSEs. The Edgbaston High School for Girls pupil hit the books despite continuing her worldwide campaign for girls’ education. The grades included A*s in maths, biology, chemistry and physics, and As in history and geography. Malala also achieved an A* in religious studies and a maths IGCSE, as well as As in English language and literature. Her school had an overall pass rate of 98.3 per cent in the GCSE results, released on Thursday. It said 28 per cent of pupils achieved nine or more A* grades. Malala Yousafzai, who was shot by a Taliban gunman in Pakistan, in her hospital bed at the Queen Elizabeth Hospital, Birmingham. Malala’s family settled in Birmingham when she was flown to the city for emergency treatment after being shot in the head in her native Pakistan in 2012. She was targeted by the Pakistani Taliban over her outspoken education campaign. 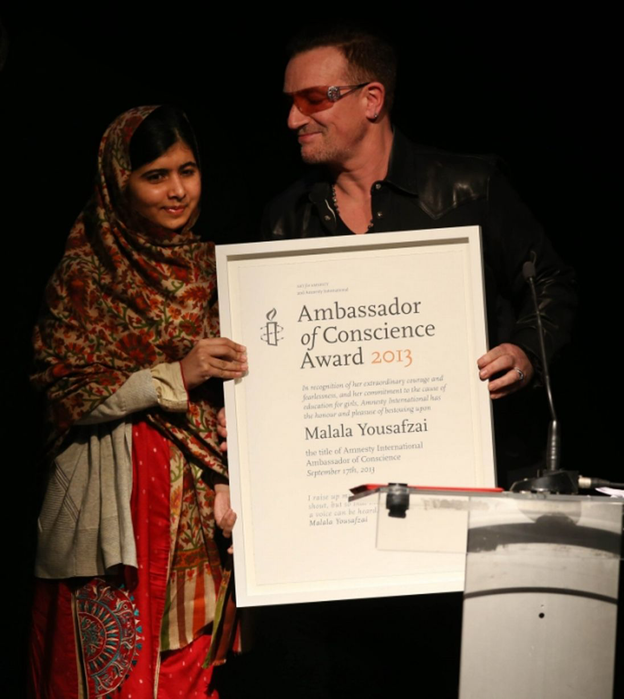 The teenager was chosen to open the new £189 million Library of Birmingham in 2013 and has continued her campaigning through her non-profit organisation, the Malala Fund. 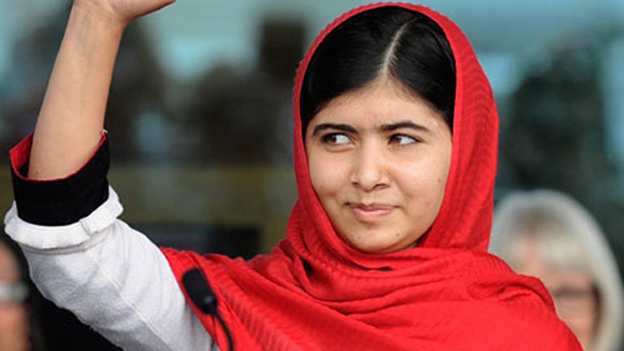 Malala said she was inspired by Benazir Bhutto, who twice served as Pakistan’s Prime Minister before her murder in 2007. Malala Yousafzai meets with United Nations Secretary-General Ban Ki-moon at the United Nations headquarters in New York.